New global cancer data suggests that the global cancer burden has risen to 18.1 million cases and 9.6 million cancer deaths. 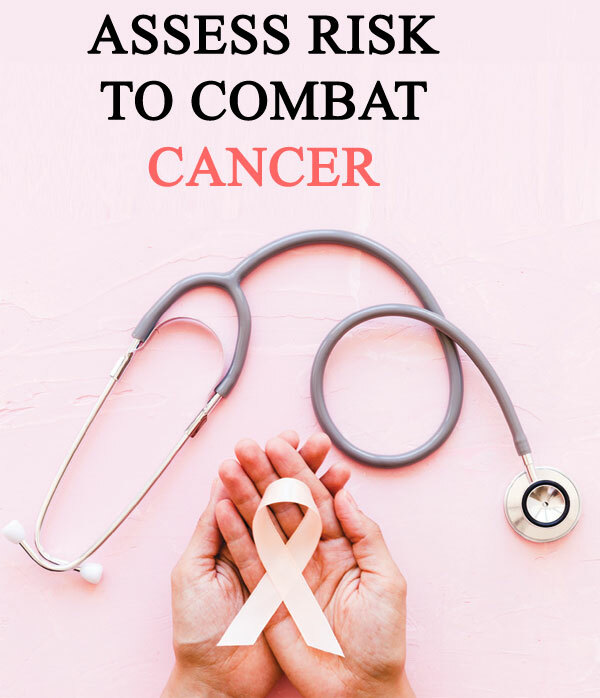 The International Agency for Research on Cancer (IARC) estimates that one-in-five men and one-in-six women worldwide will develop cancer over the course of their lifetime, and that one-in-eight men and one-in-eleven women will die from their disease. Cancer has become a huge global challenge and there is a strong need to focus on improving prevention, early detection and diagnosis, treatment, and care services. Fundamentally a genetic disease, cancer begins with one or more genetic alterations within a single cell. As these alterations accumulate, the cell begins to grow abnormally and can become malignant. Escaping the normal signals that control cell growth, the mutated cells proliferate and can spread to other parts of the body. Some of these mutations are inherited by people from their parents. Such individuals become more susceptible to develop cancer compared to the general population. Since these mutations run in families, it is common to find an increased risk of certain cancers among first degree relatives (parents, siblings, children) and second degree relatives (grandparents, aunts or uncles, grandchildren, nieces or nephews) of an affected individual. Such hereditary/familial cancers often have an early age of onset and an individual suspected to be at higher risk of developing cancer should be advised risk assessment and risk reducing options. An initial assessment of the family history of cancer provides guidance as to who will need further evaluation. Such a history should focus on the number of family members diagnosed with cancer; the age at which they were affected; and the closeness of the relation. The more the number of affected individuals and the younger the age at diagnosis, the higher is the probability of having a mutated gene which runs in the family. Statistical models have been developed to estimate the lifetime risk of developing certain cancers. The most common cancer affecting women globally is breast cancer and it is also the leading cause of death arising out of cancer. Ovarian cancer is another leading cause of death. Upto 10% of breast cancers are hereditary. Hereditary breast and ovarian cancers are linked to gene mutations. Some of these genes are tumour suppressors linked to DNA repair and cell cycle regulation. Carriers of BReast CAncer (BRCA) 1/2 mutations are at higher risk of breast and ovarian cancer and require intensive screening and preventive strategies. Offsprings of an individual with syndromes of breast and ovarian cancer have a 50 % chance of inheriting these variants. The American Cancer Society uses a lifetime risk of 20-25% to categorize a woman in the high risk category for developing breast cancer. · Known mutation carrier in the family. 4. Annual mammogram and breast MRI with contrast from 30- 75 years. The optimal screening approach in women at high risk for Hereditary Breast and Ovarian Cancer Syndrome is still a grey area, especially in the 25-30 years age group. MRI has a higher sensitivity in detecting the tumours. Moreover, the use of ‘Digital Breast Tomosynthesis’ rather than conventional 2D mammogram improves cancer detection. The findings from the UK Collaborative Trial of Ovarian Cancer Screening (UKCTOCS) and Phase II UK Familial Ovarian Cancer Screening Study (UK FOCSS) suggest that multimodal screening with regular Ultrasound scan and ‘tumour markers’ such as ‘Ca 125’ may help in early detection of ovarian cancers. Hence high-risk women for ovarian cancers are counselled to follow multimodal ovarian cancer screening protocols from 30 -35 years. Studies have shown that Bilateral Risk Reduction Mastectomy decreased the risk of developing breast cancer by at least 90 % in moderate to high-risk women and in known BRCA 1/2 mutation carriers. Immediate breast reconstruction is an option in the women undergoing Bilateral Risk Reduction Mastectomy. Women with a BRCA mutation are at increased risk for both breast and ovarian cancers including fallopian tube cancers and primary peritoneal cancers. The poor prognosis associated with these cancers have led the NCCN and other consortiums to include Risk Reducing Bilateral Salpingo-oophorectomy as the standard of care for women falling under this category. Results of a meta-analysis of BRCA carriers have shown an 80% reduction in the risk of ovarian or fallopian tube cancer following Risk Reducing Bilateral Salpingo-oophorectomy. Risk Reducing Bilateral Salpingo-oophorectomy is generally advised after completion of child-bearing in such women. A small risk (1-4%) of ‘primary peritoneal carcinoma’ has been reported in a few studies. Analysis of these cases showed that patients who developed primary peritoneal carcinoma were older at the time of RRSO. RRSO is also reported to reduce the risk of breast cancer in patients with BRCA mutations. This reduced risk of breast cancer following RRSO may be due to reduced hormonal exposure post oophorectomy. Results of meta-analysis of RRSO in BRCA carriers have reported about 50 % reduction in breast cancer risk following RRSO. Greater reduction in breast cancer risk were observed in women who had a RRSO at 40 years or younger. NCCN recommends RRSO for women with BRCA mutation between 35-40 years. The panel recommends that a gynecologic oncologist help patients considering RRSO understand how it may impact quality of life. ‘Imagine a World without Cancer’ is clearly a goal of all cancer patients, experts and organizations. The vision of achieving long-term control and/or eradicating or curing cancer is far from being realized, but not impossible. An anti-cancer strategy could be optimised by integrating variables depending on the tumour as well as the patient. The writer is Senior Consultant, Breast & Gynecologic Oncologist, Rajagiri Hospital, Aluva.